Snapchat's newest studies focus on how its users shop across different stores. 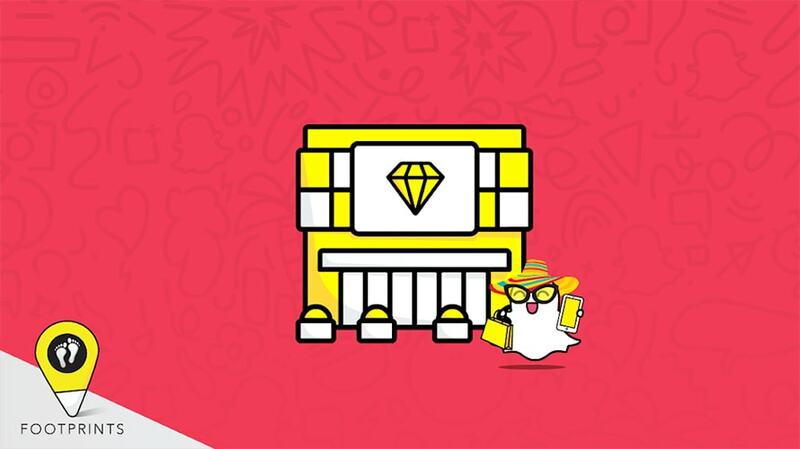 In a bid to appeal to advertisers, Snapchat is releasing a series of reports illuminating its users’ shopping behaviors and preferences, both online and off. The reports, dubbed Retail Footprints, look at how Snapchat users shop at big-box, apparel and luxury stores and are the company’s latest effort to become synonymous with shopping. Earlier this year, Snapchat rolled out new ecommerce offerings, from a visual search shopping tool with Amazon to shoppable Snap ads. The big takeaway from Retail Footprints: Snapchat not only found the days and times of the month Snapchat users prefer to shop, but it also drilled down into their other interests and where they go before and after shopping. The company shared in its latest earnings report that daily active user count was down, but there are two bright spots for advertisers: Snapchat reported more than 100 million monthly active users who spend an average of more than 30 minutes per day on the app. And a new report from eMarketer indicated that adult U.S. users will use the app 27 minutes per day, ahead of Instagram’s 26 minutes. For Snapchat’s first deep dive, a study conducted June 1 to July 31, the company looks at users who visit big-box stores and found that on average, they go twice a month, are eight percent more likely to go during the middle of the month (from the 11th to the 20th) and shop the most on Saturdays. Breaking it down even further, 18- to 24-year-olds go to these stores Monday through Thursday, while 13- to 17-year-olds prefer Friday to Sunday. 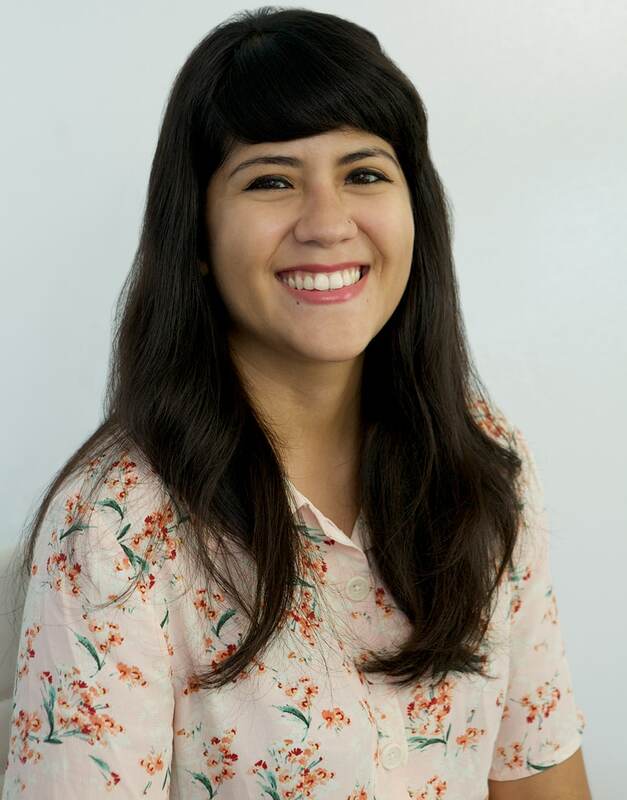 Snapchat points to the brand opportunities in its location research, such as revealing that users are going to a juice shop or eating American food before going to a store and hitting the gym or a farmers marketers afterward. 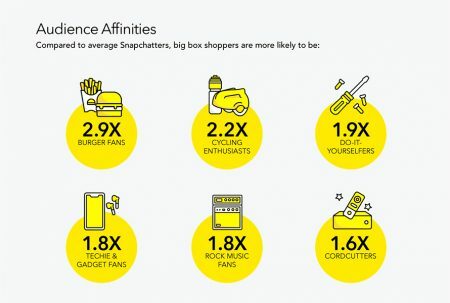 The report also drills down to the type of big-box shoppers these Snapchatters are compared to the average user and found that they are 2.9 times more likely to enjoy burgers, 1.9 times more likely to subscribe to a DIY lifestyle and 1.6 times more likely to be cord cutters. 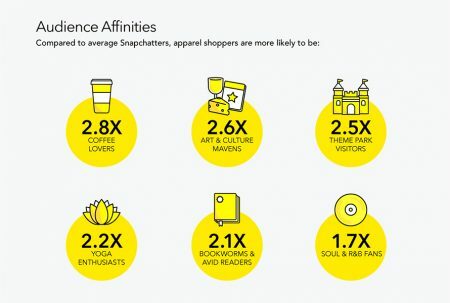 The second set of data insights looks at Snapchatters and their buying habits around “everyday apparel,” at stores like Forever 21 or Hollister. 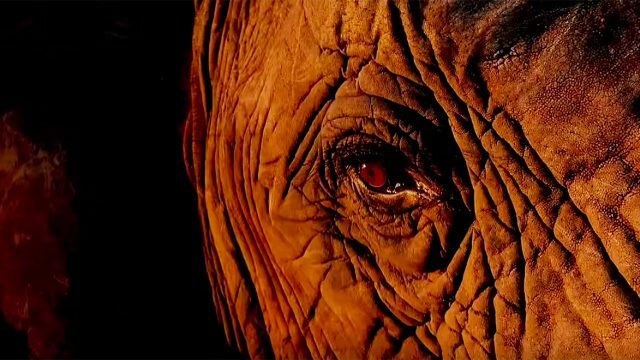 This time, the company found that these shoppers visit an apparel store eight times a month on average. Seven percent are more likely to shop toward the end of the month and also prefer to go on Saturdays. While 13- to 17-year-olds visit big-box stores the most, 18- to 24-year-olds dominate in frequenting apparel stores. Similarly to big-box shoppers, apparel-store Snapchat users are going to delis or groceries before shopping and visiting banks or hair salons after. These shoppers are 2.5 times more likely to visit theme parks, 2.8 times “to be coffee lovers,” and 2.6 times more likely to attend art and cultural events. Getting even more granular, Snapchat’s last study takes a look at users who shop at luxury stores, such as Louis Vuitton or Ralph Lauren. These users visit luxury retailers twice a month on average and are seven percent more likely to go at the end of the month, with Saturday being the “most popular day.” Once again, 18 to 24-year-olds will visit luxury stores more than other ages. These users are at airports or in libraries before heading towards a luxury store and go to night clubs, steakhouses and bars afterwards. 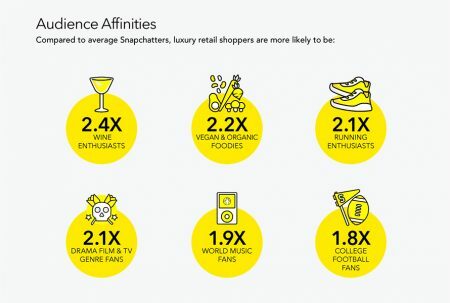 Snapchatters who shop at luxury stores are 2.4 times more likely to like wine, 2.2 times more likely to enjoy vegan or organic food and 1.8 times more likely to be college football fans. Get access to more studies like this: sign up for Adweek’s ecommerce newsletter today.